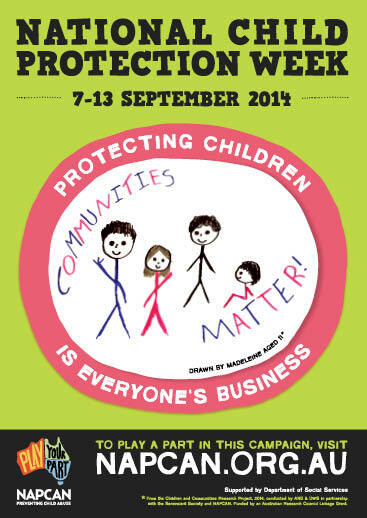 The 2014 National Child Protection Week posters are here, and our subscribers should be receiving their packages this week – if they haven’t already received them! If you haven’t yet registered, and would like to receive our resources and other communication each year, please click here to do so. To see the posters online, head to our Resource Hub.